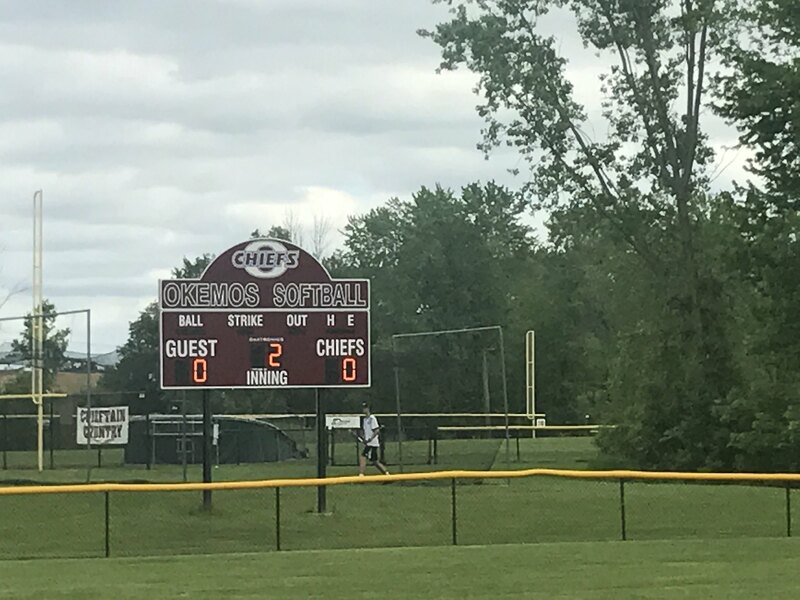 OKEMOS - The Lady Comets of Grand Ledge High School dominated in the MHSAA softball district tournament Saturday June 3 at Okemos High School. The Comets had a 34-2 record going into Saturday's tournament and were favorites to win in their district. In the semi-final game Grand Ledge played St. Johns High School, where they beat the Red Wings 16-3 and moved on to play East Lansing High. Grand Ledge went on to defeat East Lansing 18-0 after just four innings in the district championship game. The Comets advances to the MHSAA softball regional tournament Saturday June 10 at Grand Ledge High School where they get to play on their home field.